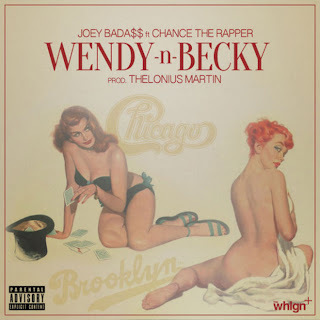 To honor the new #PROERAweek series, leader and spitter Joey Bada$$ delivered a new tune called "Wendy N Becky" featuring Chance The Rapper over a nice beat from Thelonius Martin. The two go back and forth on a horn heavy jam, which the duo sound at ease on. I hope this collaboration leads to more from not only the two rappers, but Martin as well. Stream the cut below.